Over at Film School Rejects they asked if we are “approaching 1980s nostalgia fatigue.” We not only approached it, we settled in and signed the lease. Summer of 84 is another exercise in warm blanket era-sentimentality, a la Stranger Things, The Goldbergs and even before, on a popular Friends episode. Summer of 84’s cultural touchstones include the usual suspects — Ghostbusters, MTV, and Reagan (what’s odd is that people are always time capsule-constrained to their decades. 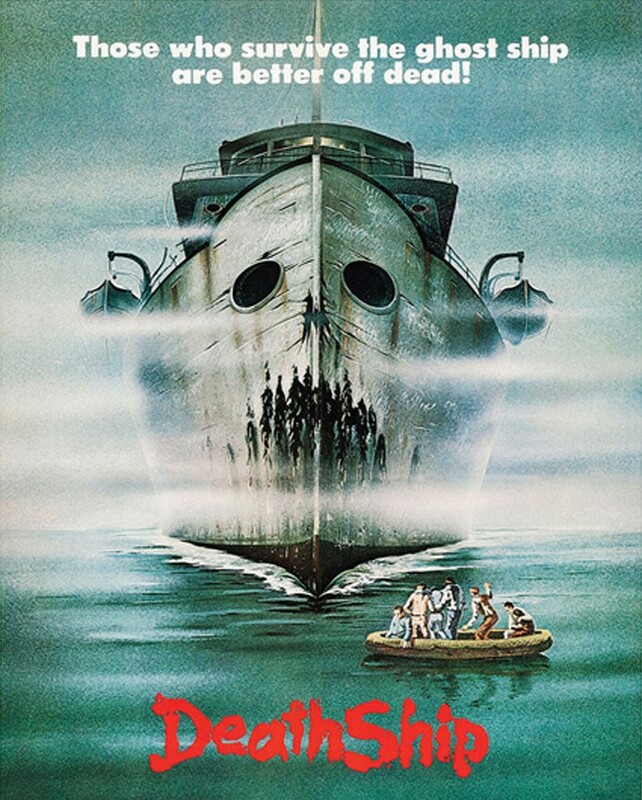 In the 80s, this site’s authors ingested a diet rich in 70s music and film, but if our lives ended up on screen, somehow it’d all be headbands, key-tars and Goonies). Summer of 84 features four teen friends, roughly, the fatty, the nerd, the vaguely cool one, and the delinquent, and good-natured ribbing since lost to the Age of PC. When their suburban town is rocked by a report of missing boys, a la the John Wayne Gacy case, one member of the crew casts suspicion on the local cop. The group then does some Hardy Boys inductive reasoning to dredge up clues to get their man. Their team also includes an eye-candy babysitter (too post-pubescent to run with this baby-faced crew, but providing good female energy) and their investigative reporting features nascent camcorder technology, and the even more inevitable Spielberg name-check. 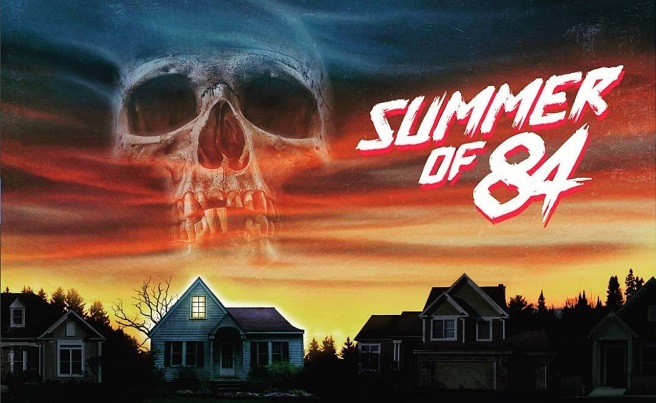 With zippy dialogue and easy camaraderie, Summer of 84 whips along solely on its considerable charms, before completely unraveling in an exasperating anti-climax and embarrassingly stupid voice-over. Merely snipping 10 minutes from the finale would’ve done this film wonders. 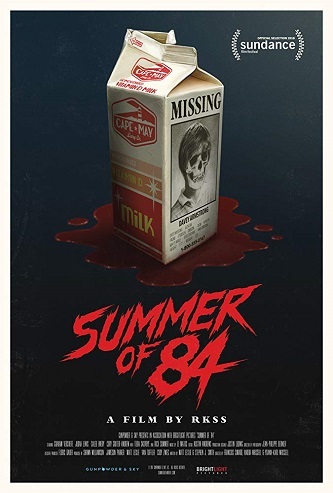 But Summer of 84 is the work of three directors, so they were probably drawn and quartered in narrative direction. Write (or direct) what you know is true for any era. And you could call the spate of 80s-styled horror movies by Generation Xers wistful thinking.